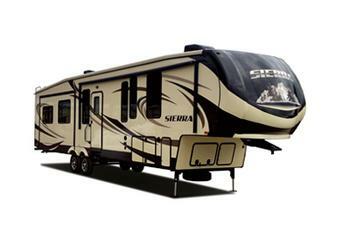 Forest River is recalling 25 model year 2018 Sandpiper and Sierra recreational trailers. The federal placard may incorrectly indicate the recommended tire pressure to be 110psi, while the actual tire pressure should be 95psi. Thus, these vehicles fail to comply with the requirements of Federal Motor Vehicle Safety Standard (FMVSS) number 110, "Tire Selection and Rims," and these vehicles fail to comply with the requirements of 49 CFR Part 567, "Certification." Tires incorrectly inflated to 110psi, can wear prematurely, potentially causing a loss of control and increasing the risk of a crash. Forest River will notify owners, and dealers will install a corrected Federal Placard, free of charge. Owners may contact Forest River customer service at 1-574-534-4574. Forest River's number for this recall is 03-0599.